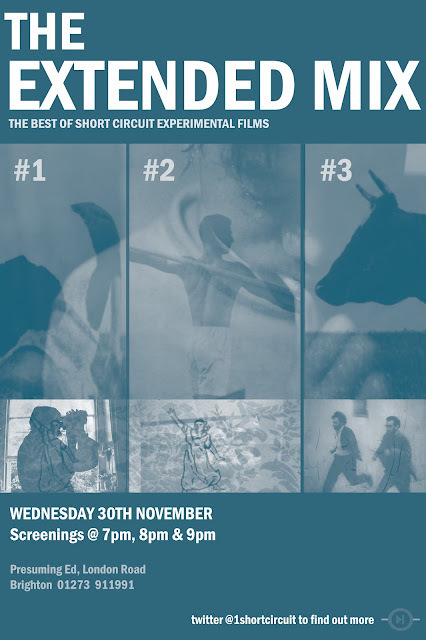 November brings you an extended mix of films selected from our favourite from Short Circuit. In three parts, #ONE at 7pm, #TWO at 8pm and #THREE at 9pm, we are showing our best and favourite shorts to celebrate the end of a year of Short Circuit. This is a great opportunity to check out films you missed, films you want to see again and enjoy a quality night out. There will be an opportunity to discuss the films and comment on experimental documentaries and enjoy a long overdue beer at Ed's new bar.